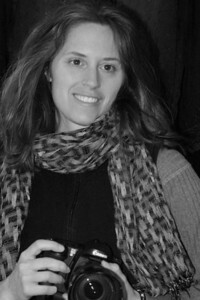 Linda is the producer and director of the award-winning documentary "An Insider Speaks Out!" which highlights human rights abuses in Latin America. 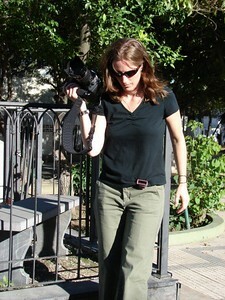 Linda has collaborated with and photographed several of the music industry’s top performers; her photos have been widely published in books, newspapers and magazines and featured in numerous documentaries. 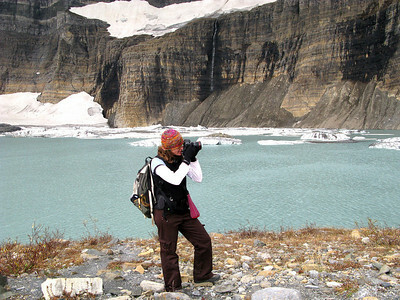 Her photos have been exhibited throughout the US, Canada and in Europe. Exhibits and lectures by Panetta focus on the environmental and human cost of war. 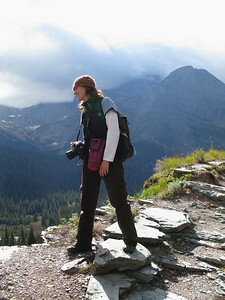 Linda is the founder/director of Optical Realities Photography and “OR Indie Arts Initiative”, a multimedia healing arts program for homeless youth and adults, with a focus on homeless single mothers. 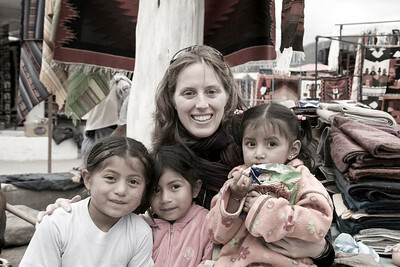 Linda is an instructor at Cabrini College (2010 – Present). 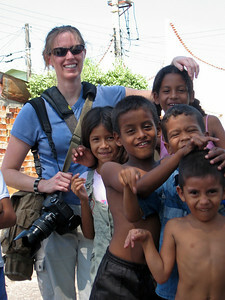 She teaches photojournalism as well as courses that allow the homeless to become active participants in discussing and addressing socio-economic issues. Classes explore the complex issues relating to global and domestic poverty, immigration, war, environmental degradation, and the efforts of regional organizations to address such issues. Adbusters, America Magazine, Amnesty International Publications, Catholic New Times, Inc., Chicago Sun, Company Magazine, Conscious Choice, Friends Journal, Maryknoll Magazine, Revista Magazine, North American Congress on Latin America (NACLA), National Catholic Reporter (regular contributor), Philadelphia City Paper, Philadelphia Daily News, Philadelphia Inquirer, Sing Out!, Rolling Stone Magazine, Sojourners Magazine, St. Anthony Messenger, The Catholic Standard & Times, The Nation, The Progressive, The Riverdale Press, Turning Wheel: The Journal of Socially Engaged Buddhism, Friends of the Earth International (Netherlands), Rolling Stone Magazine. Other: CBS 3, Philadelphia (Mar 14, 2009) Featured story about Fr. McNamee. CBS & NBC Nightly News, Philadelphia. Slide show of photos from Iraq Voyageurs TV - Uruguay Feminist International Radio Endeavour (FIRE) - Website Publication: “Women & War in Colombia: None of the Women Make the War, but they All Live it.” Amnesty International Conference, Czech Republic Countless websites around the world. American Friends Service Committee (AFSC) - “Dreams & Nightmares: Life and Death in Iraq.” Nine foot banners using photos taken in Iraq (2003) is part of a traveling outdoor exhibit/ memorial to highlight the affects of war and occupation. These images accompany AFSC's widely acclaimed Eyes Wide Open exhibit of combat boots and civilian shoes, commemorating all U.S. and Iraqi deaths in the war. United Church of Christ, Santa Cruz, CA: 16 photos of women and children from throughout Haiti, Latin America and the Middle East were used to create larger than life-sized banners (dimensions: 8 x 4 feet) that were hung as a permanent exhibit in their community center. 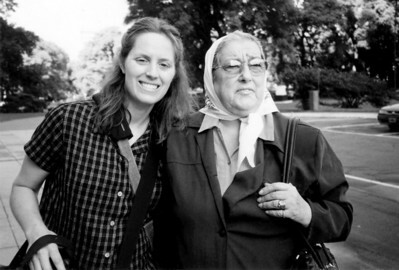 Argentina - Linda and Hebe de Bonafini, one of the founding members of the Mothers of the Plaza de Mayo and President of the Mothers Association since 1979. Chile. 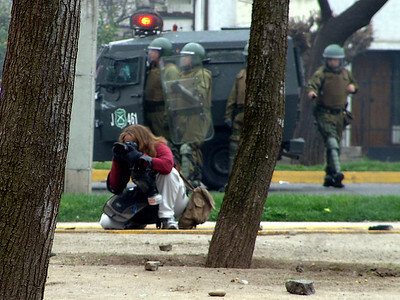 Documenting a protest by students at the University of Chile who staged a direct action to draw attention to the killings of a Mapuche farmer and his son by Chilean government forces. 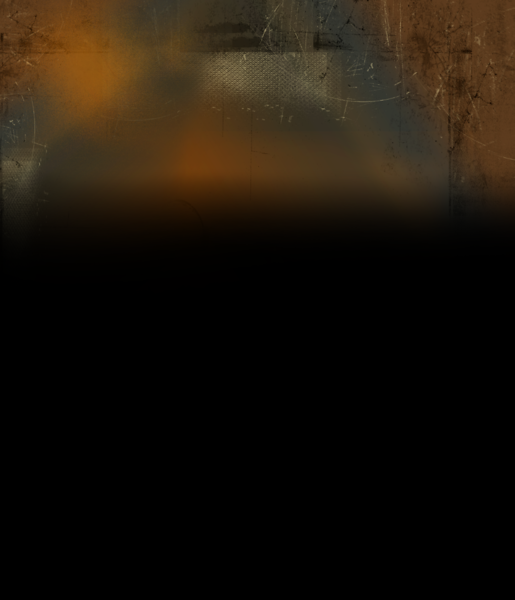 The gas mask was great, but shin guards would have helped! 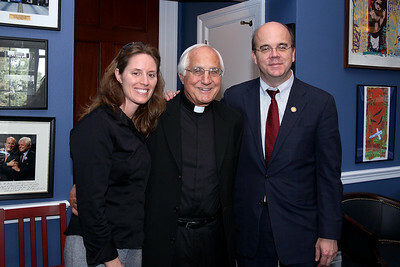 Linda and Bishop Gumbleton meet with Congressman McGovern to talk about issues relating to El Salvador. 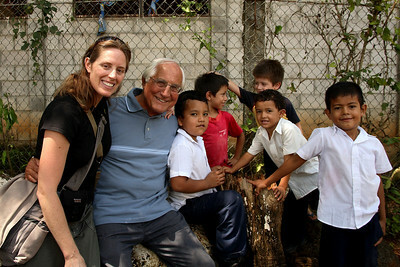 >Linda Panetta and Bishop Gumbleton join children from Suchitoto, El Salvador.